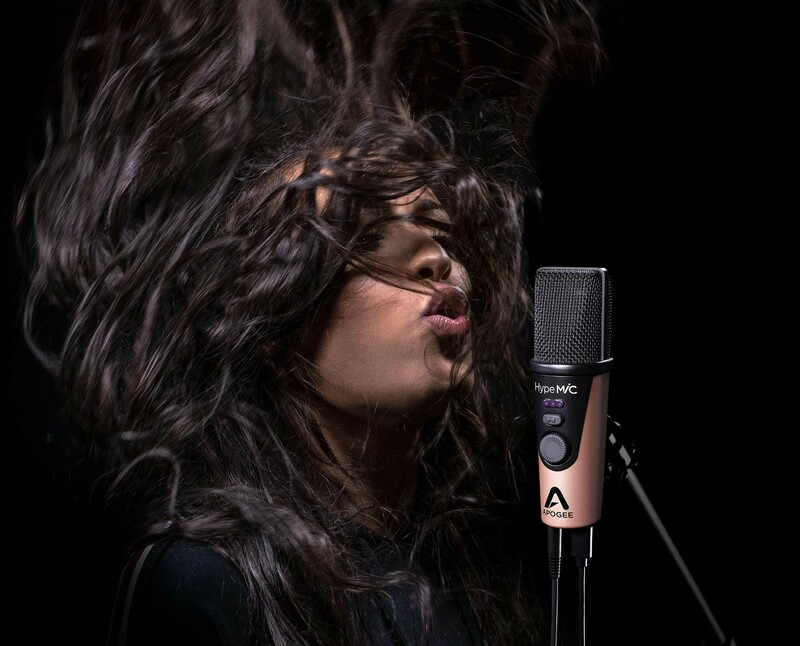 Designed to give your vocals a professional polish with its integrated studio-quality analog compression, the HypeMiC from Apogee Electronics doesn't disappoint. If you've ever struggled to get your vocals to sit right in a dense mix, the HypeMiC just might be your Holy Grail! 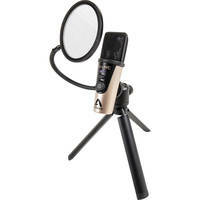 The full-featured USB microphone brings the "magic" to vocals, voice-overs, instruments, percussion, and podcasts. 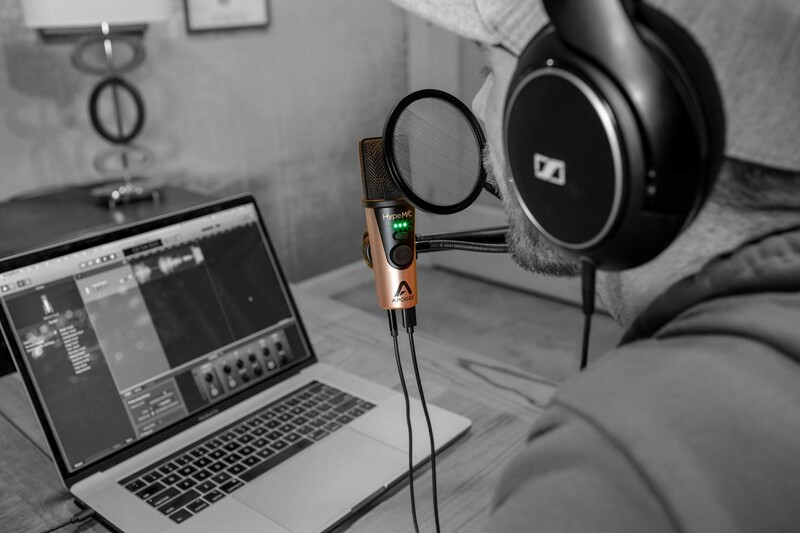 Other advanced features include the PureDIGITAL connection for pristine sound quality up to 24-bit/96 kHz, a premium cardioid condenser microphone capsule, and a high-quality headphone output with Blend feature for zero latency recording. Capturing the perfect take has never been easier, with three compression settings, designed to give your vocals a truly balanced and "mixed" recording, reducing the need for extensive processing and mixing. 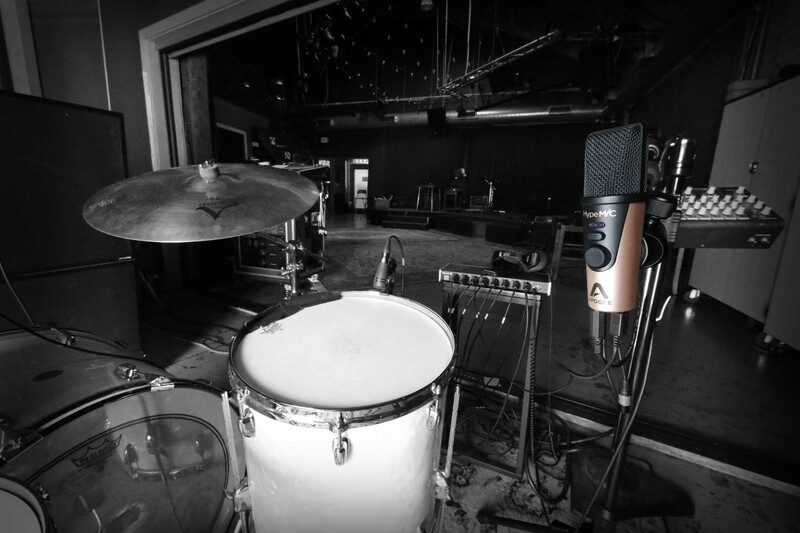 The HypeMiC provides clarity and detail when recording loud acoustic instruments, from drums to horns to choirs. The varying compression levels allow you to capture the fullest tone of your instrument without compromise. For voice/audio for video, the HypeMiC provides stellar results by balancing the audio dynamics for greater clarity, resulting in better "broadcast ready" recordings, making it well suited for podcasts, voice-overs, interviews, YouTube performances, livestreaming, and conference calls. Try all settings with any source and adjust to your taste. Set your level before you select your compression setting and remember that compression will accentuate any noise that's around you while you are recording. 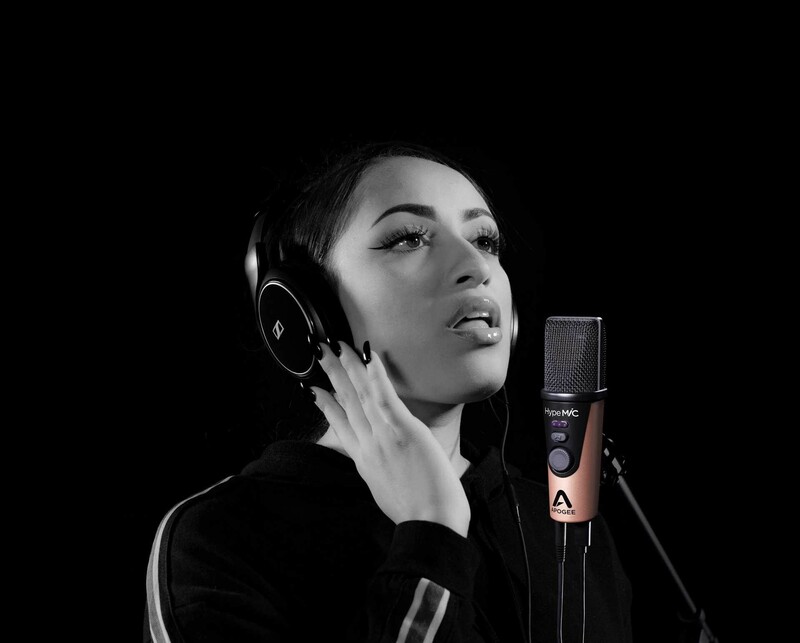 Setting One provides the least amount of compression and is great for shaping vocals and instruments in music recordings, while Setting Two offers a medium amount of compression, making it well suited for podcasts, interviews, and streaming when you want to squeeze a little more "pop" out of your voice. The third setting is the most extreme and designed to smash your voice for that big, "broadcast" sound. 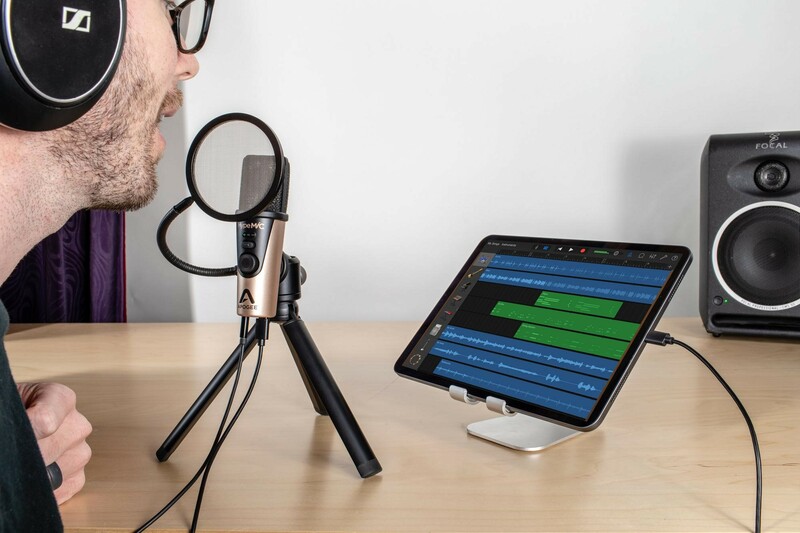 No configuration is required, just plug in and record with any audio application on iOS, Mac, or Windows. 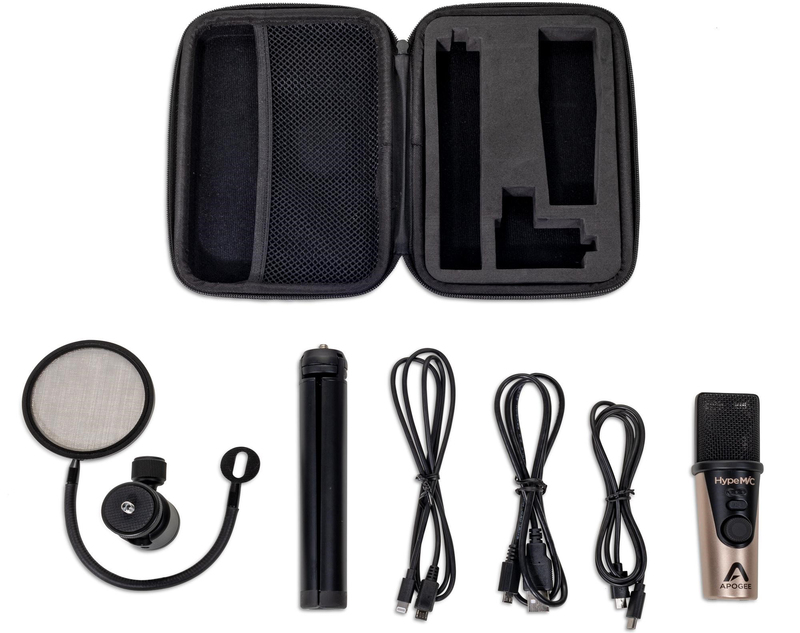 The Apogee HypeMiC ships with a premium accessory package, which includes a custom carrying case, a custom pop filter, a desktop tripod, two USB cables (Type C and A), and a Lightning iOS cable. For a first-hand experience, and to hear what this mic can do, stop by the B&H SuperStore. Visit our website to learn more about it!